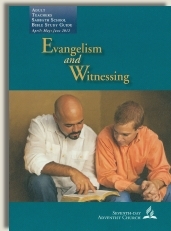 Commentary on "Equipping for Evangelism and Witnessing"
Baptismal goals should not be the goal of an evangelistic effort—salvation to lost souls is the goal of an evangelistic effort. The gospel message is Jesus saves. Baptism does not necessarily equal salvation. The Bible teaches us that baptism is an outward sign of a new life. We have died to sin and have been raised to new life through His resurrection (Rom. 6:3-11). In Adventism, however, baptism seems to reflect one’s agreement to the distinct doctrines of faith. In other words, one is not baptized into the larger body of Christ (His bride, the Church), but rather into the Seventh-day Adventist denomination specifically. Below we will take a look at some of the vows that are distinct to Adventism. Ultimately they reveal that salvation is dependent on being identified with the remnant church—the Seventh-day Adventist denomination. 6. I accept the Ten Commandments as a transcript of the character of God and a revelation of His will. It is my purpose by the power of the in-dwelling Christ to keep this law, including the fourth commandment, which requires the observance of the seventh day of the week as the Sabbath of the Lord and the memorial of Creation. 8. I accept the biblical teaching of spiritual gifts and believe that the gift of prophecy is one of the identifying marks of the remnant church. 10. I believe that my body is the temple of the Holy Spirit; and I will honor God by caring for it, avoiding the use of that which is harmful, and abstaining from all unclean foods; from the use, manufacture, or sale of alcoholic beverages; from the use, manufacture, or sale of tobacco in any of its forms for human consumption; and from the misuse of or trafficking in narcotics or other drugs. 11. 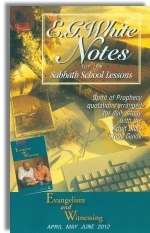 I know and understand the fundamental Bible principles as taught by the Seventh-day Adventist Church. I purpose, by the grace of God, to fulfill His will by ordering my life in harmony with these principles. 13. I accept and believe that the Seventh-day Adventist Church is the remnant church of Bible prophecy and that people of every nation, race, and language are invited and accepted into its fellowship. I desire to be a member of this local congregation of the world Church. In the May 19 lesson we considered that SDAs do not know the real Jesus and hold to a false gospel (faith plus works), which makes salvation more difficult to understand and receive. As the vows above reveal, Seventh-day Adventism’s evangelistic efforts are focused on bringing people to the Sabbath truth, the health gospel, and into the “inspired” and true remnant church of Seventh-day Adventism instead of Christ alone. Setting baptismal goals (increasing number of global members) should not be the goal of an evangelistic effort. Sharing the untainted gospel of Christ should be the goal. We want the lost to know Jesus and have eternal life with Him. When we are justified by faith we are declared and found dead to sin and alive in the resurrected Christ. This spiritual transaction is literal and eternally significant. We are credited with the very righteousness of Christ (Rom. 3:24-27; Rom. 6:3-11). We are united with the body of Christ/body of believers—this body is not denomination specific (Eph. 4:4-7; 1 Cor. 12:13-14). Water baptism is an outward symbol of what has already spiritually occurred on the inside (1 Peter 3:21). In Adventism, as revealed in the baptismal vows, baptism reflects an agreement to the SDA distinctives. It is membership into the SDA denomination, the remnant church, which they consider to be the truest body of Christ, the “world Church” of the Seventh-day Adventist faith (see vow #13 above). Copyright 2012 BibleStudiesForAdventists.com. All rights reserved. Revised May 18, 2012. This website is published by Life Assurance Ministries, Camp Verde, Arizona, USA, the publisher of Proclamation! Magazine. Contact email: BibleStudiesForAdventists@gmail.com.